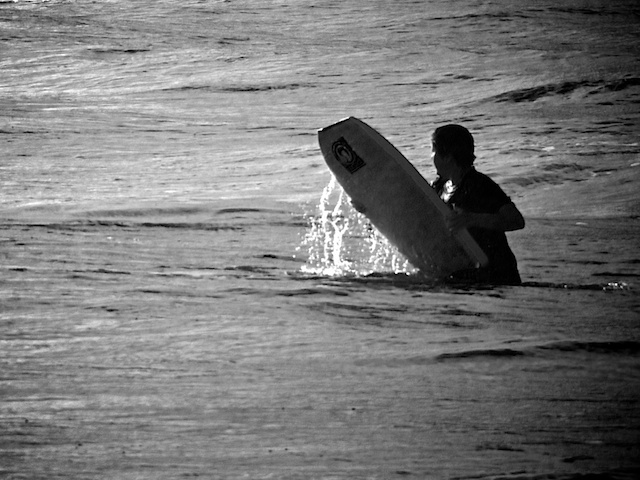 The last of the sun picks up the water as the young body boarder looks for one last wave in the shallows to get him ashore. A rare black and white effort from me, because there truly wasn't much colour left in the day! The black and white really brings the moment of indecision to the fore. I just returned from the countryside, where we bodysurfed on a fast running mill stream. Sky reflected in a small boy's dream..